Pink Off Park, an annual community celebration and fundraiser event designed to bring breast cancer awareness to Central Florida, returns to Winter Park October 19, 2018. The charity event (formerly Pink Bash) features a survivor fashion show, live music, pink carpet photos, a silent auction, enter-to-win prizes and more. It will take place at the West Meadow of Central Park. The evening’s purpose is to support the cause and honor those that are fighting, have been touched, or have lost their battle to breast cancer. Pink Off Park, produced by Orlando Sentinel Media Group, is a FREE event to attend with options to purchase food and drink sampling passports. Standard Passports are $20 per person ($30 at the door) and include admission, six light bites and/or drink samples and souvenir bag. Passports may be purchased at orlandosentinel.com/pinkoffpark. Use promo code PINK for $5 off advance food & beverage passport tickets. 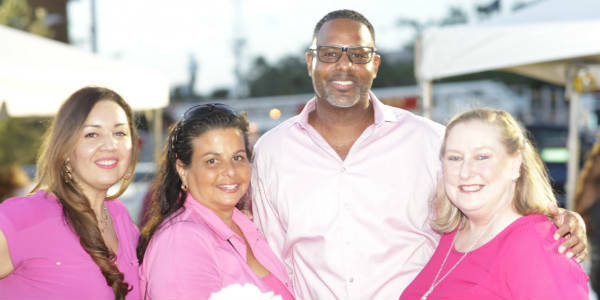 One hundred percent of the passport proceeds benefit the Breast Cancer Care Fund at Florida Hospital Foundation.